Bob Tamasy: Taking The Truth To The Negotiating Table? It’s time to revisit a topic in the forefront of many people’s minds these days. Pontius Pilate, confronted with what to do with Jesus, whom religious leaders regarded as rabble-rouser at best and outright threat at worst, famously asked, “What is truth?” (John 18:38). Lots of people these days seem to be wondering the same thing. We tend to treat truth as a negotiable commodity, like going into a grocery store and choosing between brands and flavors of jelly (or jam or preserves), kinds of deli meat, or varieties of cereal. Everyone likes multiple choices, don’t we? If you’re old enough, you remember having only three TV stations – or if you’re not that old, about a dozen cable channels. Boring, right? (Today we have hundreds of channels from which to choose, and still can’t find anything worth watching!) When cars were invented, Henry Ford said something like, “You can have your Model T in any color you want – as long as it’s black.” Can you conceive of not having dozens of makes, models, sizes and styles of cars, vans, SUVs and trucks, not to mention color schemes or accessory options? Should we agree that truth is simply a matter of what’s right in the eyes of the beholder? As long as one is sincere – or convinced? Kumbaya, anyone? Well, drawing cues from everyday life we discover truth isn’t nearly so negotiable. Take, for example, commonplace realities like gravity, blood, or even roadways. What would you think of someone who said, “I’m jumping off this cliff. My truth says I won’t fall, that instead I’ll soar like an eagle”? Gravity has little interest in what our “truth” tells us. What goes up must come down, like it or not. If we need a blood transfusion, in most cases a blood type matching our own is required. Tomato juice or red fruit punch won’t do; not even blood from a cow or a camel. No matter what someone decides they want their “truth” about their blood to be, the type of blood they have is the type they will need. Many roadways are very clearly designated for one way. Especially highways. We don’t want some driver deciding “her truth” says it’s okay to drive south in the northbound lane. We’ve all heard about what happens when one person’s truth collides with someone else’s truth on the interstate. A lifeboat comes across the frantic passenger treading water. There’s room for one more person in the lifeboat, and it’s the swimmer’s last chance for survival. Yet he emphatically refuses to climb in, insisting he’ll wait for a larger rescue boat. His own “truth” convinces him this isn’t his one and only option. How long do you think his truth would keep him alive? But Jesus didn’t make that assertion just once. He made it clear truth was of eminent importance for Him, such as the time He addressed the esteemed Pharisees: “Jesus said to them, ‘If God were your Father, you would love me, for I have come here from God. I have not come on my own; God sent me…. You belong to your father, the devil, and you want to carry out your father’s desires. He was a murderer from the beginning, not holding to the truth, for there is no truth in him. When he lies, he speaks his native language, for he is a liar and the father of lies. Yet because I tell the truth, you do not believe me!’” (John 8:42-45). Harsh, tough words, right? Jesus apparently hadn’t read Dale Carnegie’s book about how to win friends and influence people. But sometimes there’s no soft-pedaling, no sugarcoating the truth. If He were standing among us today, I believe Jesus would say the same thing. As He told Jews who were following Him, “If you hold to my teaching, you are really my disciples. Then you will know the truth, and the truth will set you free” (John 8:32). And how can we find this truth? How can we know it? Jesus gave this answer as well: "When the Advocate comes, whom I will send to you from the Father – the Spirit of truth who goes out from the Father – he will testify about me” (John 15:26). Robert J. Tamasy is a veteran journalist, former newspaper editor and magazine editor. 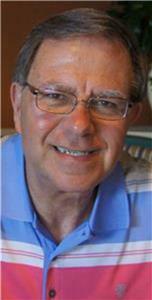 Bob has written hundreds of magazine articles, and authored, co-authored and edited more than 15 books. These include the newly re-published, “Business At Its Best,” “Tufting Legacies,” “The Heart of Mentoring,” and “Pursuing Life With a Shepherd’s Heart.” He edits a weekly business meditation, “Monday Manna,” which is translated into more than 20 languages and distributed via email around the world by CBMC International. To read more of Bob Tamasy’s writings, you can visit his blog, www.bobtamasy.blogspot.com, or his website (now being completed), www.bobtamasy-readywriterink.com. He can be emailed at btamasy@comcast.net.